Aswan is one of the sunniest cities in Egypt, offering a delightful beauty and a relaxed atmosphere, with a warm and dry climate. Located about 890 km south of Cairo, and 80 km south of Luxor, it has a more African ambience than any other city in Egypt. It has long been known as the “Gate of Africa”, and much of its charms come from the River Nile. Life here is slow-paced and relaxed, and its setting on the Nile is gorgeous. Boats sail by gracefully, and floating restaurants offer rhythmic Nubian music and delicious fresh fish. The Nile in Aswan is at its best, flowing gently around bright green islands adorned with tropical foliage. The local souk (market) is filled with the exotic scents of spices and perfumes. 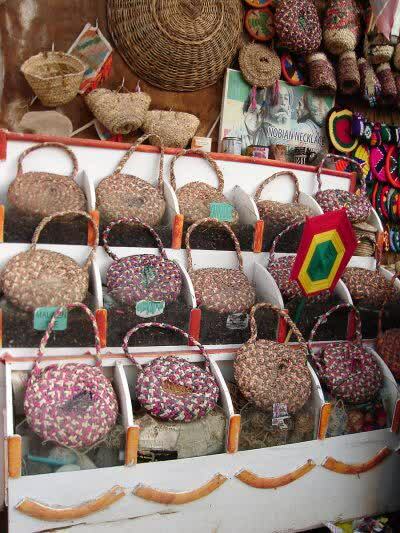 Handmade baskets are piled high in the market, alongside handmade scarves. The bazaar in Aswan is especially large, and continues past the Fair Gardens, the Nubian Museum and down to the cemetery. Today visitors enjoy visiting the Aswan Dam and the Aswan High Dam. The latter was completed in 1968, resulting in an artificial lake called Lake Nasser. It is a massive structure of stones, 3600 meters long, with a width of 980 meters at the base and 40 meters at the top. In all, the High Dam equals 17 times the volume of the Great Pyramid. The High Dam has changed the course of the Nile and the course of Egypt’s history as well. The largest artificial lake in the world, named after President Nasser, the leader of the Egyptian Revolution. The lake is 300 miles long, holding 157000 million cubic meters of water. Realizing the historical value of the monuments located there, worldwide rescue efforts were undertaken to save some of the most important temples and artifacts from the flooding resulting from damming the water. One of the temples saved from submersion in Lake Nasser was the beautiful Temple of Isis. Ancient Egyptians believed Isis to be the goddess of fertility and motherhood, having great magical skills. She was represented as having a human form, though with the horns of a cow in place of ears. It was believed that the temple sanctuary, the Holy of Holies, was the source from where the waters of life originated. Just to the south of Aswan, along the way to Philae, lies the famous gigantic Unfinished Obelisk, that was built from red granite, but was left unfinished because a deep crack developed in its center. Had the work been finished, it would have been the largest Obelisk ever made, measuring 41.75 meters and weighing about 1200 tons. The tools found there, left by the discouraged masons, have given modern archaeologists an invaluable source of information on ancient quarrying techniques. For a delightful excursion, visitors go by sailboat to small granite islands of the Nile, including the Elephantine and Kitchener (or Botanic) islands.